The Capcom booth was quite the popular spectacle at this year’s E3, as gamers and media alike swarmed to get their hands on some of the most hyped titles arriving in the next year. Skatter Tech already reported on our experience with the most recent version of Marvel vs. Capcom 3, and now it’s time to reveal one of the more hidden gems of the Capcom line-up: Okamiden on the Nintendo DS. I was so excited about this demo that I made sure to check it out twice, first at Nintendo’s booth and then again at the previously mentioned Capcom booth. The great minds at Clover Studio behind Okamiden are just a few months away from a Japanese release this fall, and this demo shows just how close Chibiterasu is to taking her adorable, tiny steps into the celestial light of her predecessor. The DS version of the Okami franchise picks up where the sun-goddess, Amaterasu, left off on the Wii and PS2 games. While Ammy’s adventure didn’t sell quite as well as Capcom would have liked, the visually remarkable and overall innovative action-adventure title was one of the highest rated Wii titles out there. The reception behind the original story is nothing short of positive. Even though Okami on the Wii had some of the most frustrating controls and lack of response with the wiimote I have ever seen, it still did not hold it back from being one of the best games that I and other editors have ever played, emphasizing on its success. What it comes down to is that Okamiden has an incredible reputation to live up to on the DS, in the sense of loveable story, gorgeous visuals, and just overall addicting gameplay. The demo available at E3 for Okamiden basically gave us a tutorial on controls and a few brand new gameplay elements. The controls were smooth, the handheld’s port being a nice advantage for players, and guiding Chibiterasu and Kuni on their youthful adventure to purge a familiar land of demons was easier than ever. Chibiterasu, short for little Amaterasu, and Kuni, son of the “great” swordsman Susano, work together to solve puzzles using the power of the celestial brush. 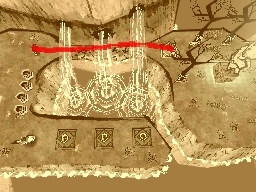 This means that while the majority of the time young Kuni rides on Chibiterasu’s back, there are many obstacles that require the two to separate and guide one another across hazards like weak bridges. 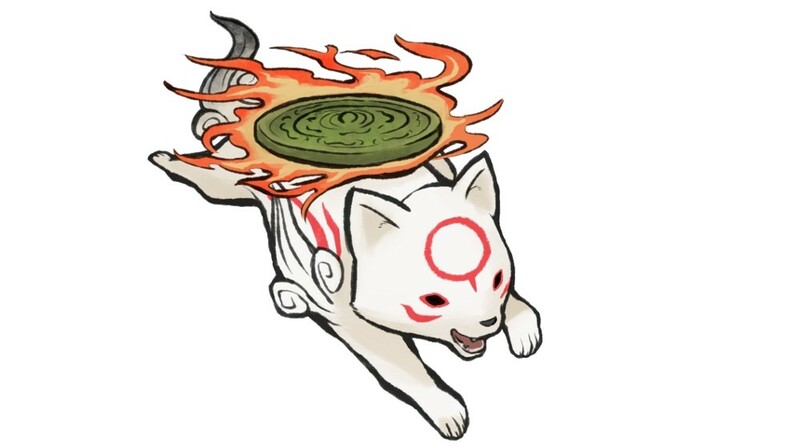 While it hasn’t been made clear as to whether or not Chibi is Ammy’s child, the story takes place nine months after the events of Okami and Chibi starts off with only a taste of what the sun goddess is truly capable of. The DS puts an overview with map and menu on the bottom screen and all the action takes place on the top screen. The celestial brush is activated with the L and R buttons and pulls the top screen down to the bottom, giving the player full control of the brush with their stylus. This little trick promises 100% accuracy and fixes a lot of the hassle and error that came with the Wii. Fighting enemies has also been simplified with a single button on the DS, so combos work like a charm. 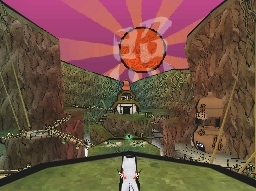 The graphics are also something to be well worth recognizing on the DS, and take advantage of the cell-shaded and incredibly artistic looks which mark the Okami franchise. The programmers have also intelligently designed the camera to guide the player and show them what they’re supposed to see. This prevents any problem with large-scale environments that would otherwise not be possible on a tiny screen. Overall, Okamiden actually surprised me a great deal. I’m a huge fan of the original Okami on the Wii, regardless of how impossible the controls were at times, and had my doubts about a “sequel” hitting the Nintendo DS. 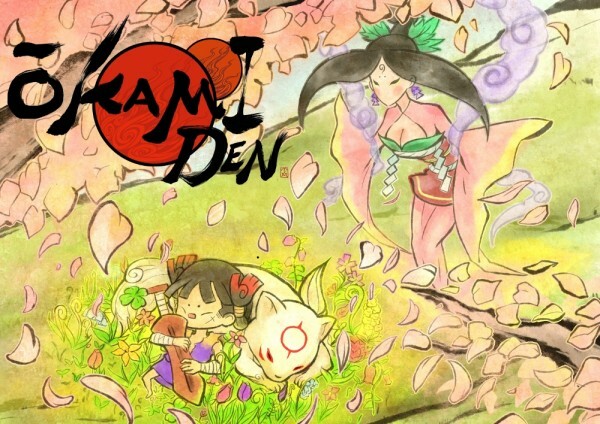 After getting my hands on the vibrant and adorable game at E3, though, I am able to gladly confirm that Okamiden looks to be a big deal, regardless of its small size. The visuals are still stunning, the innocent humor is abundant, and the gameplay looks to be as smooth and fun as ever. If there is anything bad to say about Chibiterasu’s adventure as of now, it would have to be that we have to wait until early 2011 for the North American release.